1. Create a plan, to-do list, or set of work-steps. By setting priorities via a plan, to-do list, or documented work steps, distractions can be limited and goals can be defined. Determine what activities are priorities, allocate realistic amounts of time to each, and set deadlines. Evidence suggests that those who set deadlines are more likely to follow through and complete tasks. 2. Develop a system of work prioritization. To manage time well, everything cannot be considered top priority. You must consider the nature of the task, the person who delegated it, the deadline requested, and the need at hand. 3. Schedule demanding, unpleasant, or important tasks first. Work on the hardest or most urgent tasks first. By scheduling the hardest, most unpleasant, or most important tasks during your most productive hours (which are customarily at the beginning of the day), there is a higher chance of finishing the tasks and completing them in an efficient manner. 4. Cluster similar tasks together. Likewise, consider grouping small, quick tasks for smaller allotments of time. Keep an ongoing list of these tasks on your desk. Also remember the general rule of delegation: if someone can perform a task at least 80% as well as you, it is usually ideal to delegate. 6. It's okay to say "no." Many professionals have trouble saying "no," but it's essential to managing time effectively. Committing to too many projects can affect the quality of work. It is important to value one's time and realize that it is sometimes okay to say "no" to additional work that is not a priority, or to accept the work at a less busy time. Know your key responsibilities, focus on your top priorities, and learn to say "no" when added responsibilities could reduce your effectiveness or work quality. Another good rule of thumb is saying "no" to one responsibility (or delegating it if you can) before taking on another responsibility. This ensures that you won't get too overloaded and will keep your responsibilities balanced. 7. Minimize and prepare for distractions and time-wasters. Distractions and time-wasters are a given. Common distractions and time-wasters at work include email, phone calls, "drop-in" meetings, socializing, social media, smart phones, and the internet. To reduce the time spent on these distractions, schedule times and breaks for these activities. In addition, schedule some flexible time during the day and overestimate how long tasks or projects might take. It is better to have too much time rather than not enough time. By providing a buffer, there is less chance of over-scheduling. Concentration and focus can improve by taking steps to improve the work environment and your mindset. Keep a clean, clear, and organized desk or office and make your work space as comfortable as possible. Clear your desk at the end of each day. Additionally, you can improve your mindset by not multi-tasking, focusing on one task at a time, and switching between high attention and low attention tasks. Keeping yourself healthy and getting enough rest can also help improve concentration and focus. 9. Treat the end of the day as your deadline. Don't get in the habit of staying late at work or bringing work home with you. Treat the end of the workday as if it were your deadline for your to-do list. This will force you to set reasonable expectations for yourself everyday and accomplish everything you intended. For at least one week, track how you spend your time. Note your tasks and activities, and how much time you spent on them. Analyze how your time was used, specifically which work took the most time/the least time, etc. and where time was wasted. This exercise is extremely useful and eye-opening because it tends to illuminate where you are spending your work time in unproductive ways. 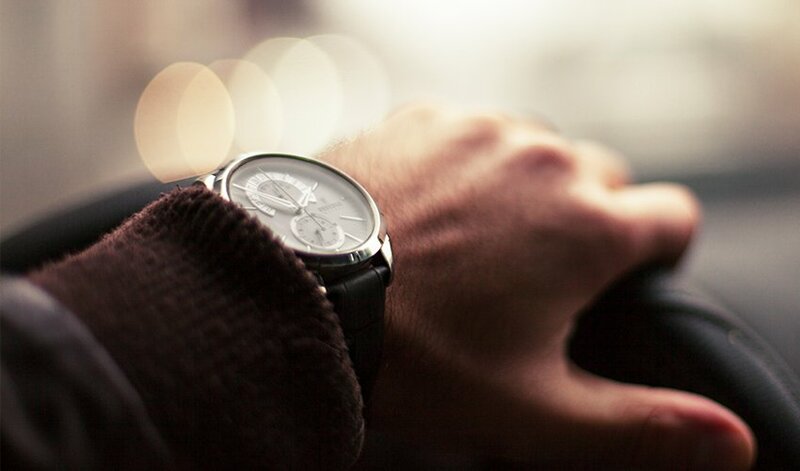 By developing these time management skills and using these tips, hopefully you can get more value out of your work time, improve your productivity and performance, and have more time to spend on the things that really matter to you outside of work. ERC delivers customized time and priority management training nationwide.